Maybe there is something you could outsource in your life or in your business ? It’s good to have something to save time, money and energy. You don’t like your job but spend a lot of time to read job offers discourage you. You can use Upwork to hire someone to do job searches for you. This person will give you a list of the best job offers so you can apply. It’s cool ! 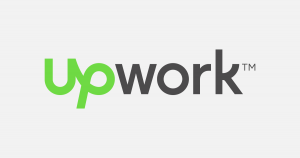 Upwork is the largest marketplace in the world to find service providers troughout the world. You will be able to delegate some of the things you have to do. It’s expensive ? Wait, if you find someone who live in a developing country, prices will low compared to the prices of your country. The Upwork principle is not to make work children of 12 years old like Nike or Reebok but to offer work to someone, a respectable job than can make in good conditions. If you have the budget, you can take service providers from North America or Europe. Upwork isn’t the only platform to propose this kind of service, this is a lot. Ther is a application named « Fancy Hands » You download this application on your smartphone, it’s a virtual assistant’s team in U.S.A (until now the only langage is english) and you can ask everthing. There is a « + » button and you can ask something by voice, text or photo. Can you find my the three best piano school next to my house ? Of course when you completed your profile you wrote your address. I’m a HSBC Premier’s customer. I would like to know if when I buy a flight ticket, I have rights entitled to an health insurance ? Can you call UPS ? Because they came to my house and they left a note. I must call them to have a new appointment but I don’t have the time. Can you ? You take a picture of the note so that they have all the information and it’s ok.
It’s simple things. You can delegate to them tasks of research, booking of restaurant, hotels or flight. If you make a thesis or dissertation for your studies at the univerity, you have to put scientific references on what you write. Usually, people advise you to hire a research assistant. Now, you can find one quickly on these platforms. A Students don’t have money ? If you work with someone from a developing country, I’m sure it works with your student budget. You don’t have an Upwork’s account ? Go and create it. It takes a few seconds and it’s free. I advise you to do this and spend 10 minutes a day to find the things you can delegate. Even in your job you can delegate repetitive tasks. Warning, check if it’s legal for you to outsource a part of your job. Check with your employer or a lawyer. By doing that you will acquire a new skill. Image how would be your life if you can outsource most of repetitive tasks you don’t like to do. You will develop this outsourcing skill. In the 21st century, we will delegate more things to services in the Cloud and this will increase. 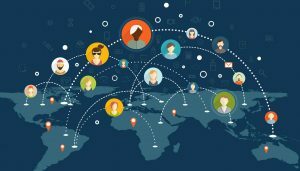 What is the first service you use in Upwork ?